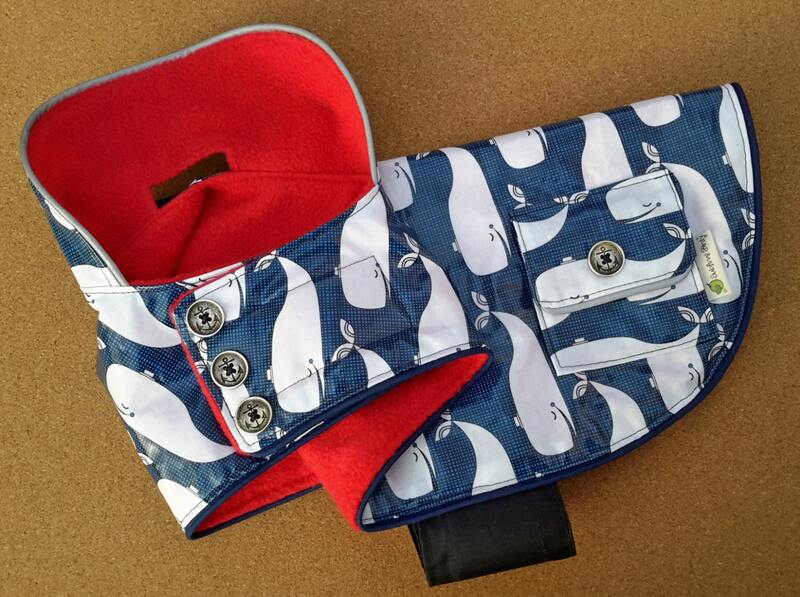 Whale Dog Raincoat - Size Medium, Last One! Warm and dry raincoat just right for your furry boy or girl. 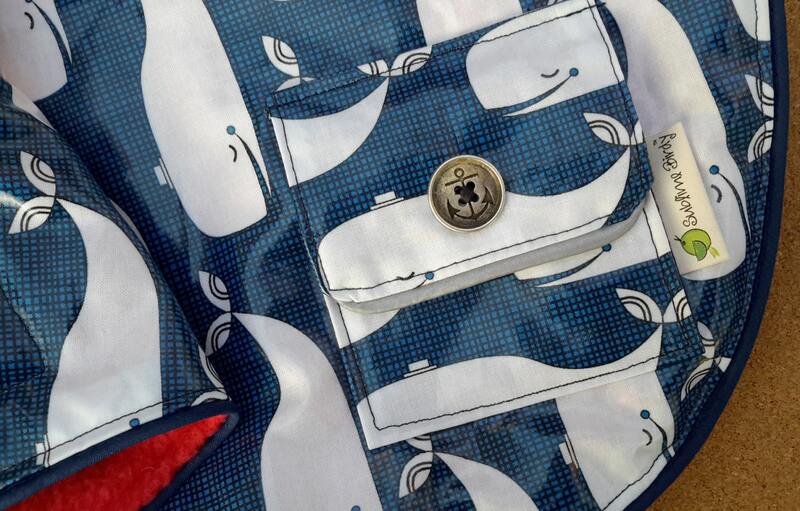 The outer material of the coat has been constructed from a laminated cotton with smiling whales and you choose if you want a lightweight raincoat lined with red cotton or heavier weight coat lined with a bright red warm fleece. 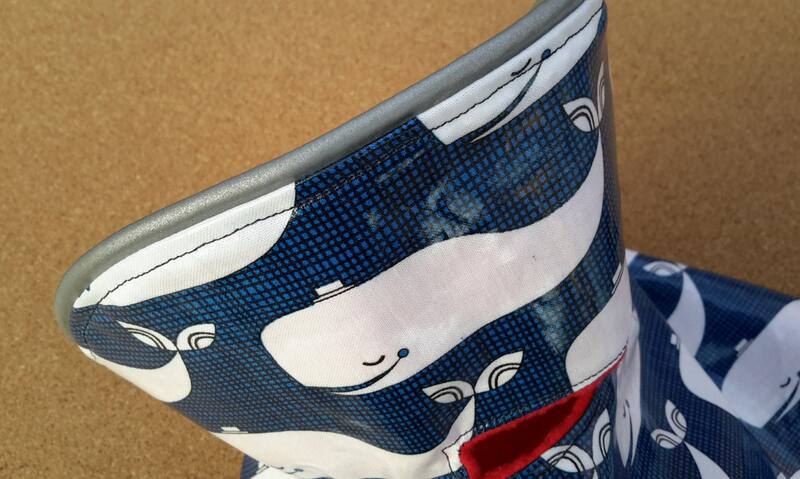 For added visibility the collar and pockets have been trimmed with reflective piping trim. The belly belt and neck enclosure are adjustable. 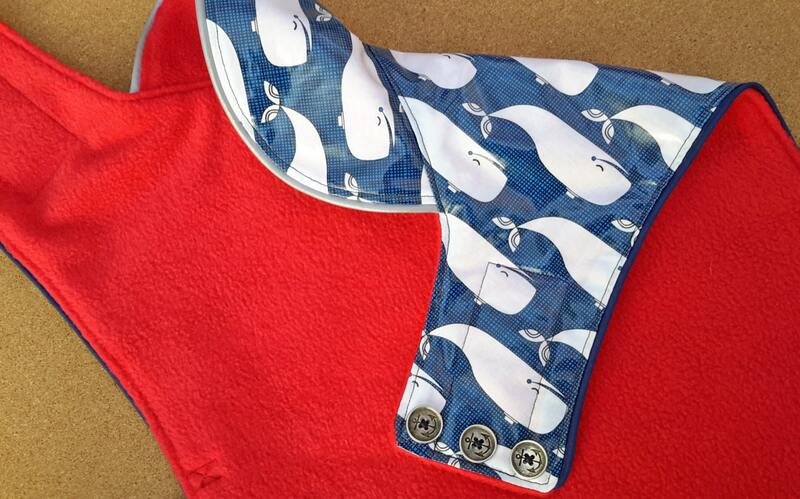 Metal anchor buttons decorate the neck and pockets. 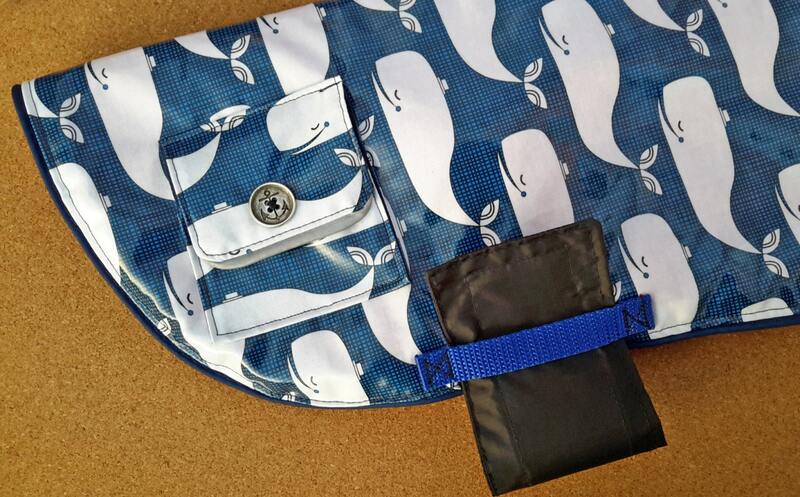 This is the only one left as I cannot get any more whale fabric! Coat can be wiped dry or washed in cool temp water and hung to dry. I do not recommend use of a dryer on this item due to the laminated cotton and to keep reflective qualities nice and bright. Too cute on my Copper! I mis-measured length but covers his tail so perfect! I love it!! So darn cute, and it fits perfectly. I love all the details. This will make walks in the rain easier and more fun! I love this rain jacket so much! The colors are vibrant and the jacket is very well made. Deb was great at getting back with me quickly and made small alterations to accommodate a rear clasping harness. Shipping was fast and the coat was packaged very well along with a handwritten note which was a personal touch that I felt was great. I did put it on my pup for a little bit and it fit perfect was easy to put on and stayed on with no problem (whenever I put clothes on her she does an alligator death roll so it staying on is a true accomplishment!) I plan on using this jacket in a surprise family photo shoot and I think our little pup is going to definitely be the star in her new beautiful rain coat! Thank you Deb!!!! !